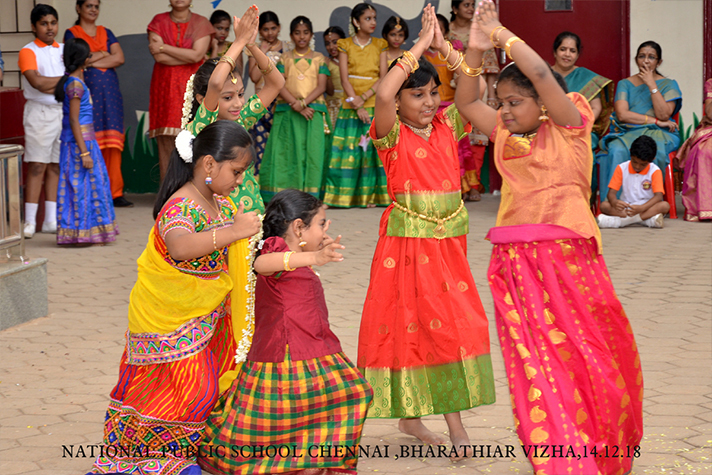 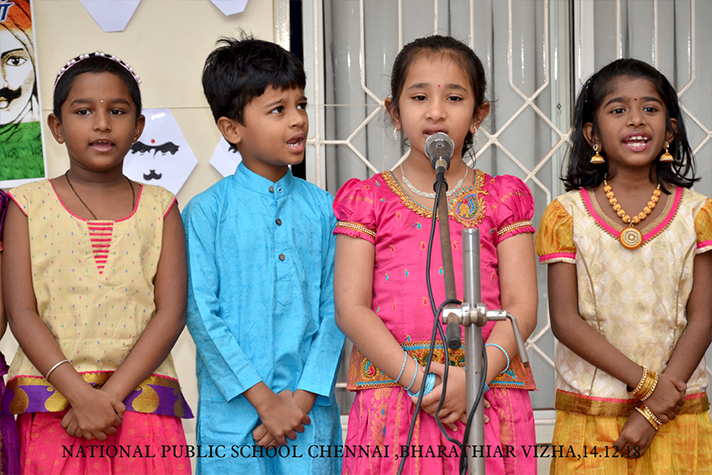 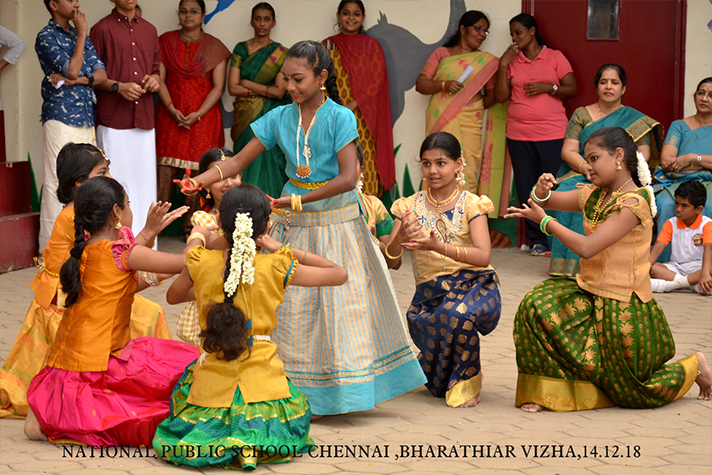 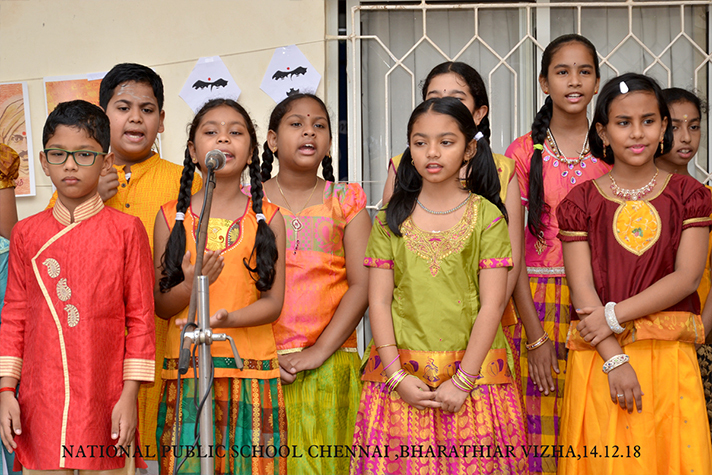 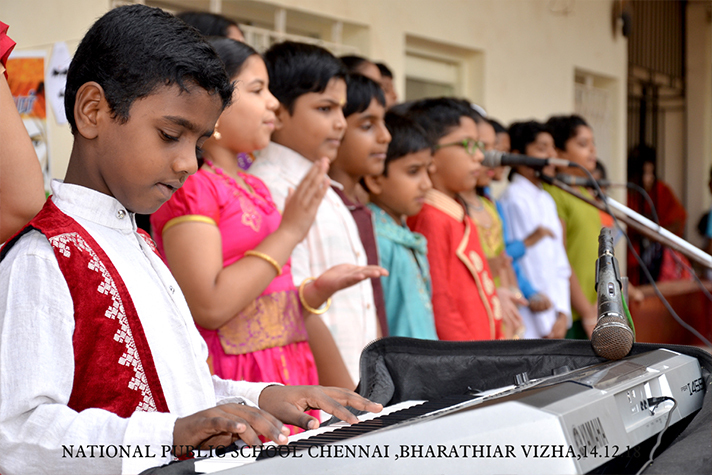 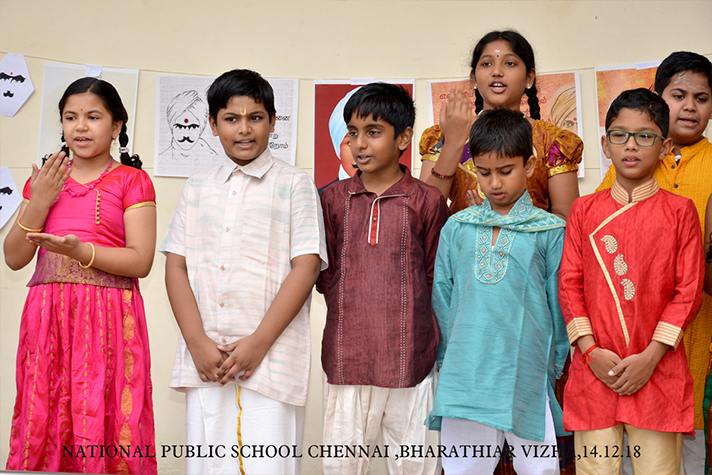 Bharathiyaar Vizha was celebrated in the school premises to commemorate 136th birth anniversary of the great poet Mahakavi Sri Subramaniya Bharathiyar and to instill values and patriotism among the students through the poet’s words. 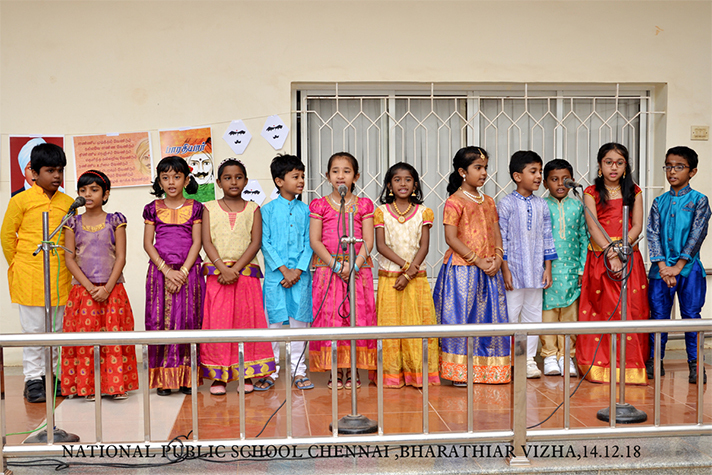 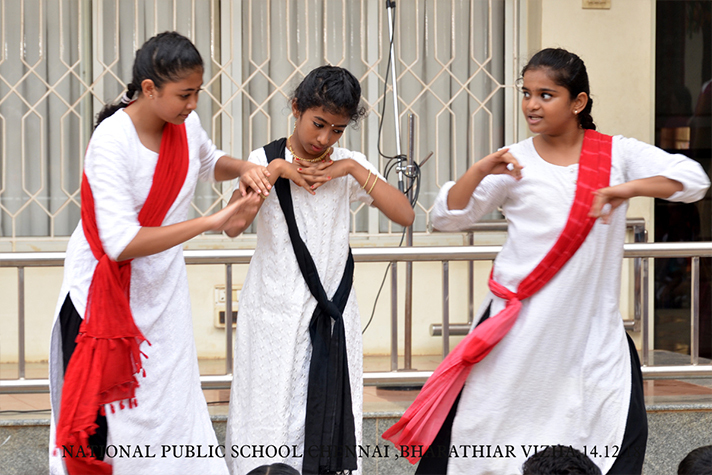 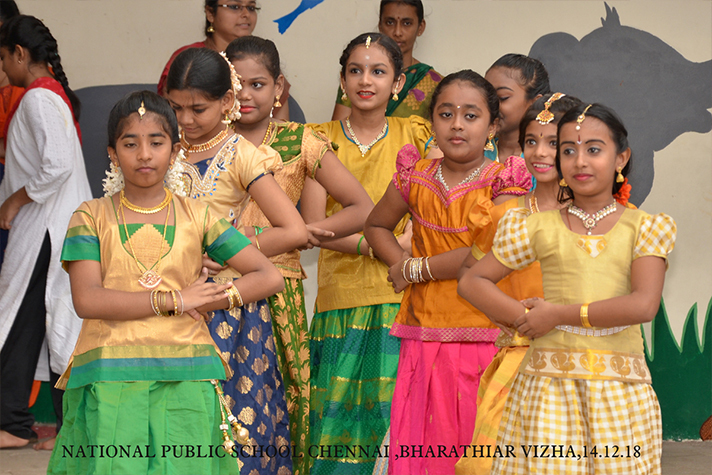 The students portrayed the great poet Bharathiyar’s songs through their inspiring speeches, soul filling music, recitation and enthralling dance performances. 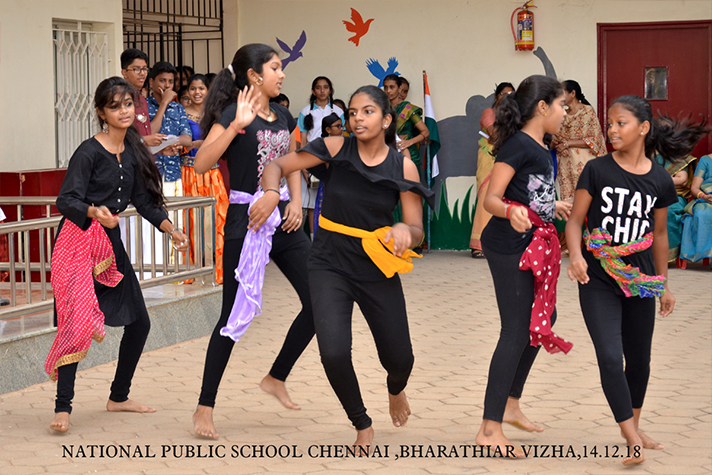 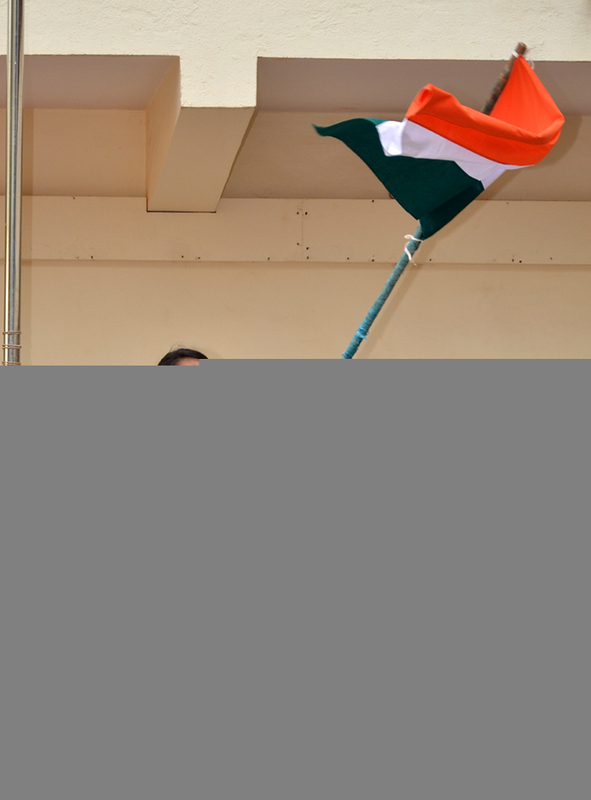 The audience enjoyed the programme which was instilled with patriotism.